What do you notice? 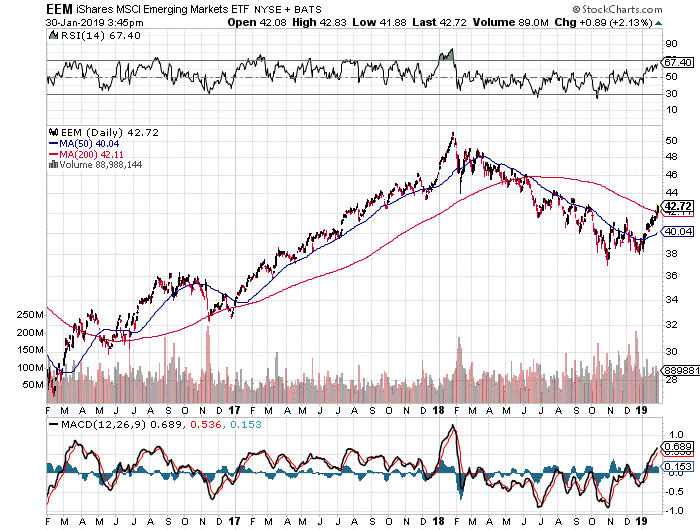 Emerging markets bottomed in October. The US Dollar peaked in December. All before Papa Powell and the League of Extraordinary Bankers decided to hold off on further rate hikes and struck a more dovish tone. 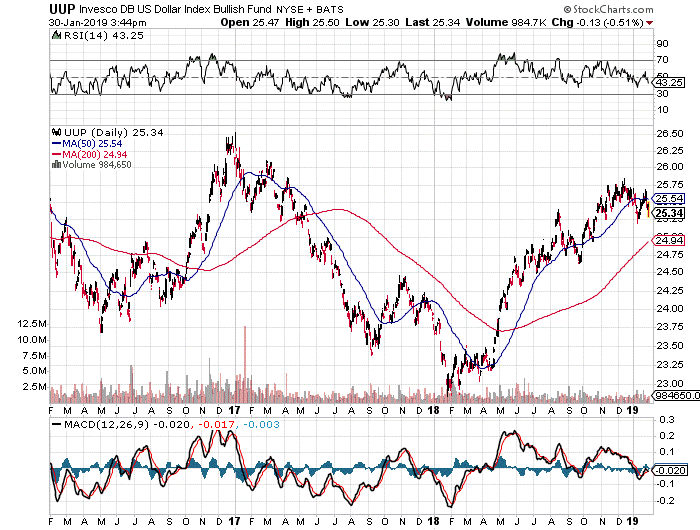 The seeds are already starting to sprout for a reflationary move higher led by cyclical global plays. For our ATAC strategies which heavily rely on leading indicators like Utilities and Treasuries, near-term on-going positive behavior remains intact (though always subject to change). As a Portfolio Manager who has long waited for more normalized intermarket relationships, more and more I feel the cycle changed last year. That’s a good thing. At least, that’s the narrative that keeps me excited.